"Chester Himes was born on this date in 1909 in Jefferson City, Missouri. He was an African American writer whose novels and autobiographies explore the absurdity of racism,"
But no. Reviews from a large number of readers come back to "a must for Chandler enthusiasts," or parroting the back blurb by John Edgar Wideman re "surreal, grotesque, comic, hip," etc. I can't begin to count the number of reviews I've read that use the word "surreal" without any explanation as to why the reader thought so, or how Himes is like Chandler. Again, another cover blurb parroted, this time from Newsweek. Then there are the readers who bring up the movie as if the book was an afterthought, or those who can't find anything original to say so they just stuff a bunch of quotations into a review. People, you are missing the boat big time here. "Looking eastward from the towers of Riverside Church, perched among the university buildings on the high banks of the Hudson River, in a valley far below, waves of gray rooftops distort the perspective like the surface of a sea. Below the surface, in the murky waters of fetid tenements, a city of black people who are convulsed in desperate living, like the voracious churning of millions of hungry cannibal fish. Blind mouths eating their own guts. Stick in a hand and draw back a nub. That is Harlem. So where is it readers talk about Himes' cynical approach to Harlem? About writing about Harlem from the point of view as an exile in Paris? About the borders between the white world and the black world and about how the few (exemplified in the character of Goldy's wife, who we never see) who cross the border on a regular basis do so only as domestic servants to wealthy white people? About the violence, the scamming, the people feeding like sharks on each other -- preying especially on the more naive folks like Jackson or the more religious-minded people who buy fake "tickets to Heaven" for their deceased relatives or themselves? About the alcoholism, the drug use, about a reality that in itself is something, as even Himes notes, "stranger than fiction?" About how some of these people lived in places virtually unfit for habitation? Where are the mentions of police violence being okay when directed at African-Americans? And above all, what about even a brief mention concerning the message running throughout the entire novel that things are not what they seem to be on the surface in this little slice of the city? How a 5-star review can include absolutely NONE of these elements is just beyond my scope of comprehension. 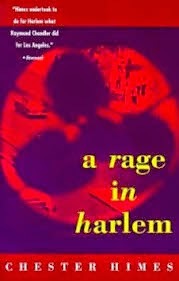 A Rage in Harlem is an incredibly important novel of its time but no one seems to care -- and that is just a shame. A genuine shame. Here, as is the case with most crime novels that trend toward social commentary, plot is most definitely used as a vehicle. I keep going back to Sjowall and Wahloo, who taught me a LOT about reading crime. If Himes had written solely about the absurdity of racism and how people really lived in Harlem, he probably would not have attracted the readership or appreciation. That was Wahloo's thing -- when he wrote nonfiction re the realities about social issues in Sweden, he couldn't get anyone to read his work. So he and his wife cleverly hid their commentary inside of crime novels. Himes is the same, I think. He points out so much in this one small novel, but I'm just saddened by the fact that even as obvious as he is here, it doesn't seem like people get what he was actually trying to do. Wonderful review. I saw it first on Goodreads and had to come here and comment. I haven't read any Himes, although I certainly want to. I want to at least sample his writing, and you have motivated me to push it forward. Thank you. 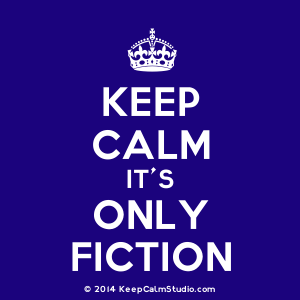 I know that not everyone reads for under the surface content, and that's okay. But I seriously cannot fathom how anyone could miss what is so obvious! Definitely give him a try. Excellent comment piece, making a strong point. I haven't read the book, but now will have to! Thanks. Actually, I'm reading this with a group and so far it's been a rather frustrating experience. In trying to introduce Harlem as the focus of this book, all I get back is nothing. Aarrgh! I went into that bar mentioned which was on Eighth Ave. between 126th and 127th and Himes' description of "everyone was looking at everyone else" was right on the money. My foray in there was in 1962. I've especially liked this book due to Jackson's naivete and his brothers rascality.